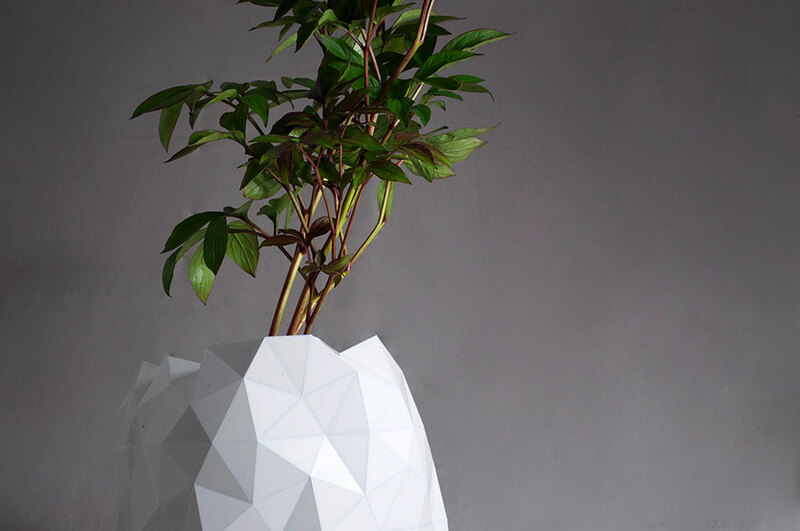 Growth, an innovative pot design inspired by the Japanese art of origami, grows together with your plant, expanding to accommodate more soil and a wider root network. 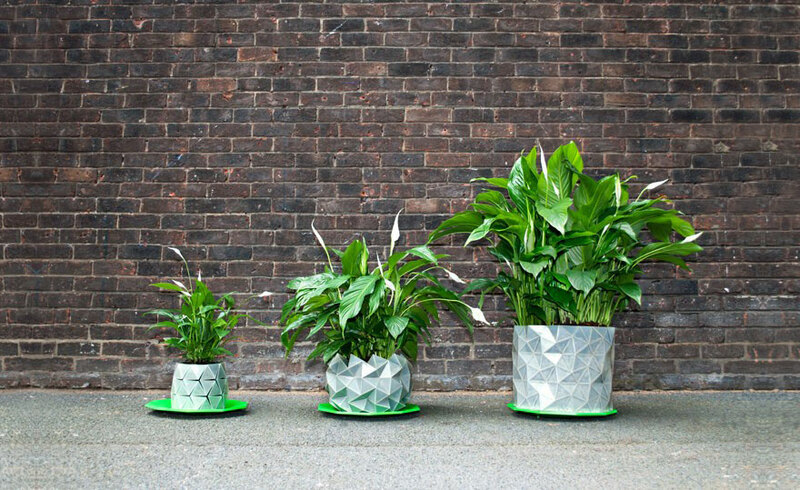 This design, by the London-based duo at Studio Ayaskan, aims to make plant pots more sustainable than ever. Where can I get some of these? Pure Zen. Actually, if you read the website, it says they are "currently in discussion with manufacturers to get Growth into production. We are aiming to have them ready in the next few months." You can sign up for the mailing list and get notified when they are available to purchase. This is amazing! 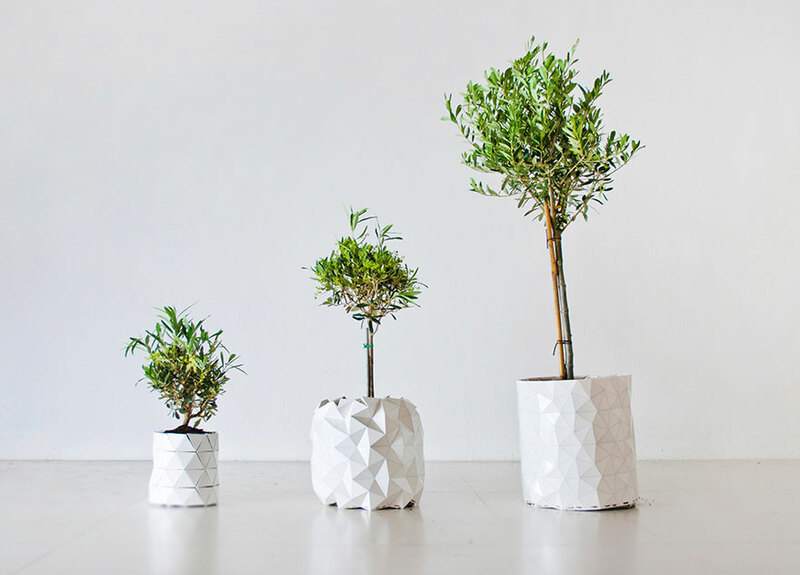 I think that it is a perfect idea, especially in the arena of repotting plants, etc, as well as just being a beautiful addition to a garden or window sill. 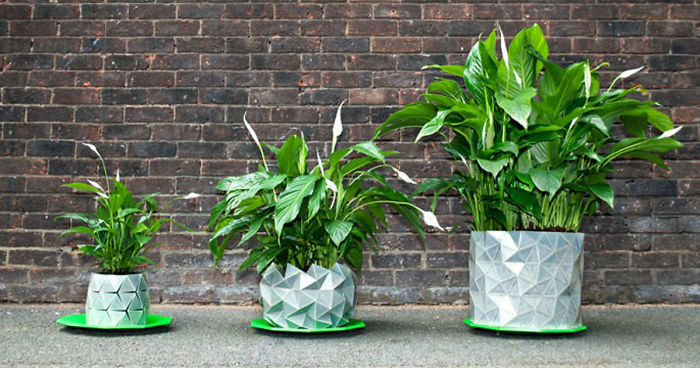 I do not have much of a green thumb myself, but I would absolutely love this pot for my porch! Found @ http://affimity.com/#/sharedPost/6/8065.